Enterprise and Supplier Development (ESD) is about growing new, and enhancing existing small businesses. Essentially it is about creating opportunities and economic access for Black entrepreneurs and Black owned businesses, ensuring greater economic participation and inclusivity. Fullimput’s ESD objective is to facilitate the development of sustainable businesses that will create jobs and add stimulus to the economy. 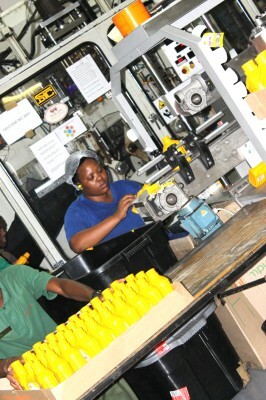 According to the Broad-Based Black Economic Empowerment [B-BBEE] Act, Fullimput is committed to contribute to the process of providing business opportunities to new enterprises and support for black Small, Medium and Micro Enterprises [SMMEs] through the provision of professional, financial and business support as well as various start-up support services. An important element of ESD is its emphasis on the value chain, where Fullimput has influence to create opportunities for new businesses as customers or suppliers. Fullimput’s Broad-Based Black Economic Empowerment [B-BBEE] is the responsibility of the Managing Director assisted by the Commercial Director. An accredited verification agency verifies records of ESD activities. 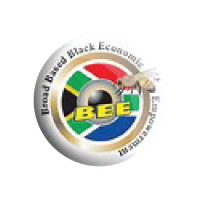 Since the gazetting of the amended B-BBEE Codes 2012 there has been significant changes to many of the elements on the B-BBEE scorecard. Prior to these amendments, measured entities were accustomed to being rated on Preferential Procurement and Enterprise Development separately. The amended B-BBEE codes put emphasis on, inter alia, industrialisation, enterprise and supplier development activities, black industrialists, localisation as well as access to finance. Furthermore, the amended codes merged the Preferential Procurement and Enterprise Development to form Enterprise and Supplier Development, representing the weighting Points set at 40 in the balanced score card. B-BBEE Procurement Spend from all Value-Adding Suppliers based on the B-BBEE Procurement Recognition Levels as a percentage of Total Measured Procurement Spend. Annual value of Enterprise Development Contributions and Sector Specific Programmes made by the Measured Entity as a percentage of the target. Failure to meet these minimum thresholds results in a measured entity losing 2 levels. In line with these codes, ESD strategies and activities are mandated by Fullimput board at annual intervals, where feedback is provided on ESD performance against targets. Resources are allocated and fresh mandates are provided. Favourable payments terms for black SMMEs, QSEs and women-owned enterprises. Monetary and non-monetary support for black SMMEs, QSEs and women-owned enterprises. 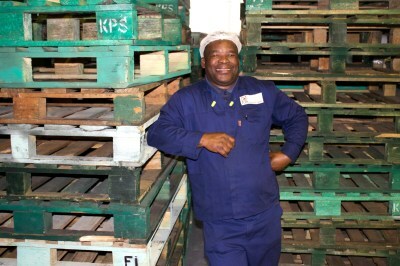 Fullimput has created a business opportunity for Abaphumeleli Trading [trading as Nathi Pallet Doctor] to refurbish damaged/out of size pallets. 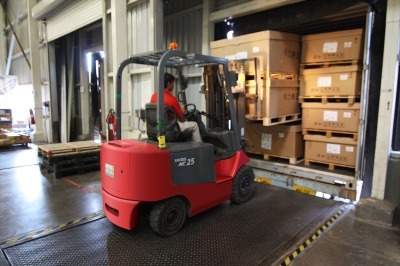 Fullimput uses over 1,000 pallets per annum. This opportunity has resulted in new job opportunities for 5 people and generates new revenue stream for Nathi Pallet Doctor. In addition, Fullimput is providing business support and professional guidance to contribute to the success and sustainability of this enterprise. Owner of Abaphumeleli Trading, Nathi Ngwabe. Historically, Fullimput disposed of plastic-off cuts to municipality landfills. The size of these plastic off-cuts could be as high as several tons per year. 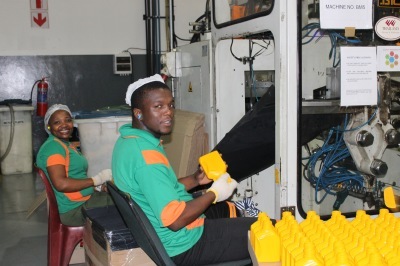 Fullimput has contracted Phakathwayo to collect the plastic off cuts and divert the landfills to the secondary plastic market as feeder stock. 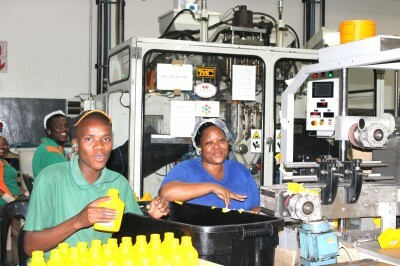 This opportunity has created employment of 5 jobs for Phakathwayo and generated steady revenue for the business. In addition, Phakathwayo has secured an additional 150 square meter industrial premises in Hammersdale to meet Fullimput’s requirements. Fullimput provides business mentorship and advice to ensure improvement and development within the business. 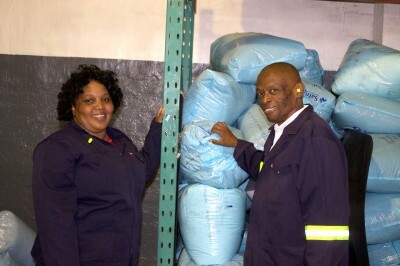 Owners of Phakathwayo Waste Management, Ntombizekaya Marylane Gumbi (left) Sydney Gumbi (right).